Recently I went to Primark in a bit of a panic because I keep forgetting to go out and buy new bras! I thought that until I decide to invest in some new bras to last me a while, I would pop into Primark to buy a little something in the meantime. This bra was super cheap - I think it was around about £7, how much of a bargain is that? 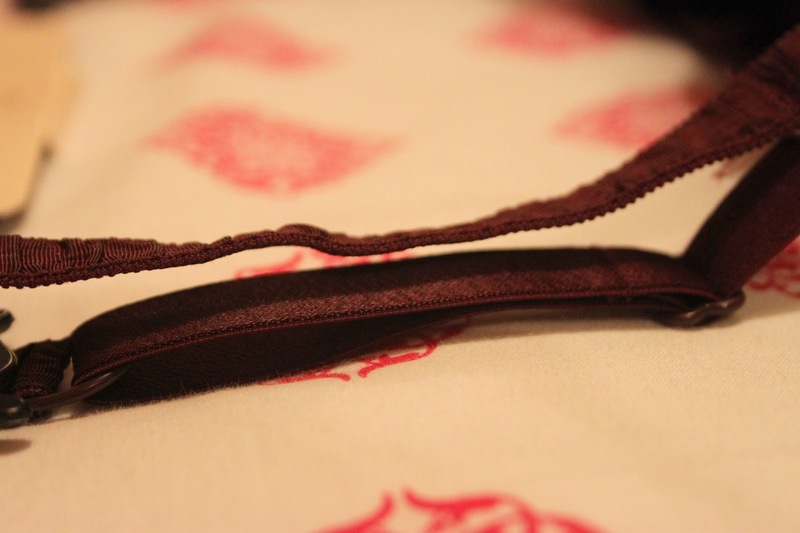 It is super comfortable and a really gorgeous burgundy colour. I am definitely a useless girl in the fact that I will wear a bra to its last legs, as long as it holds them up then thats all I need! However, I do need to invest in some better ones :) Have you bought any great lingerie recently? Let me know!